Radon is an invisible, odorless, radioactive gas. It is by far the greatest single source of radiation exposure to the general public. Radon is the second leading cause of lung cancer in the United States and the leading cause among nonsmokers. Performing a radon test is the only way to know if radon levels in your home are high. Elevated indoor levels are found in every state in the US, and in every county in Illinois. Since 2003, thousands of indoor radon measurements have been performed in Kendall County by licensed radon measurement professionals. Approximately 47% of results generated by those tests, were found to exceed the USEPA action level of 4.0 pCi/L. Testing is easy and affordable. 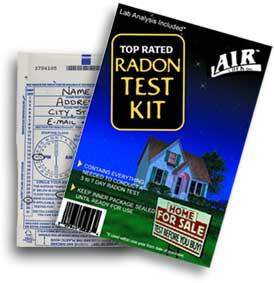 You can pick up a radon testing kit at a local hardware store or at the Kendall County Health Department. You can also hire a professional radon testing specialist. Save one dollar off the price of an AirChek radon test kit at the Kendall County Health Department! Use your smartphone to snap this Quick Response code. Please take a look and if you have any questions about the Radon test kit, give us a call. Air Chek has details on how to perform this test on their website. If you discover radon at a dangerous level, it can be mitigated. Feel free to call us and we can help you interpret your results and point you towards resources to help you find a radon mitigator. Click here to find licensed radon testers and mitigators in your area.